Kyle R. Everett, 58, of Palm Harbor, FL, passed away unexpectedly in his sleep on Tuesday, Oct. 2, 2018 at his home. Born March 30, 1960 in Pittsburgh, he was the son of the late Homer M. Everett and Jean K. Everett, of Bradford, who survives. On March 3, 1995, he married Connie Hainz-Smith, who survives. He was raised in Bradford, and graduated from Bradford Area High School in 1978. He then graduated from the University of Pittsburgh College of Pharmacy in 1984 and he earned a Masters in Business Administration Degree from the University of Pittsburgh in 1985. 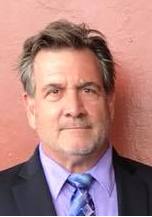 Kyle was the proverbial “Jack of all Trades” as he was a licensed pharmacist, a licensed real estate agent, a certified contractor and inspector, a real estate appraiser, and a car salesman and finance manager at various dealerships in Pinellas County. At one point, he was the owner / pharmacist of the Ellsworth Pharmacy in Pittsburgh, as well as the owner / operator of “Good Karma, Bad Mojo” specialty shop in Dunedin, FL. At times, he tended bar at various craft breweries in north Pinellas County. At the time of his death, he was the field manager for “The Handyman Company” in Pinellas County. In addition to his mother Jean, he is survived by his wife of 23 years, Connie, along with two step-sons, Ryan Smith of Dunedin, FL and Joshua (Kara) Hainz of Duluth, Minnesota, his grandson, Jaiden of Duluth, and one daughter, Alison and her fiancée, Cody Hernandez of Tampa, FL. In addition, he is survived by one brother, Mark (Sandy) Everett of Palm Harbor, and two sisters, Carol Sanders of Petaluma, CA, and Teri (Mike) Tominez of Olean, NY, and several nieces and nephews. Family will be receiving friends on Tuesday, October 16, 2018, at the Hollenbeck-Cahill Funeral Home Inc., 372 East Main St. from 4 to 7 pm with a service at 7:00 pm with Rev. Joseph Dougherty, Pastor of St. Bibiana Church in Galeton, officiating. In lieu of flowers or in memory of Kyle, donations may be made to either the Humane Society of Pinellas County in Clearwater, FL or the McKean County SPCA in Bradford. Mrs, Everett, Mark, Carol, and Teri I''m so sorry to hear about this. Kyle was always such a fun loving guy when I knew him and he will be missed, as will be the many, many nights of basketball in your driveway. May the Lord''s peace and trust in Him be with you all. Terri, thinking of you and sending hugs and prayers for healing in the loss of your brother. I am so sad to hear of Kyle’s passing. I’ll always remember Kyle’s great sense of humor throughout our Jr. and Sr. High School years. Mrs. Everett, Mark, Carol & Teri, I am so sorry for your loss! I have many fond memories of hanging out at your house as a kid. God bless you all, and you guys are in all of our prayers! Teri and family, I am so very sorry for your loss. You are in my thoughts and prayers. Life, is precious! As we get older we embrace its brevity even more. Teri, I pray a deep supernatural peace for you and your brother''s loved ones at this time. Lean on the on the Holy Spirit for comfort. I''m sorry for the loss of Kyle..I''m a classmate of Kyle''s.. My thoughts and prayers are with you all.. The loss of a loved one is so hard to face. Our prayers to all the family. I''m sure he''ll be sadly missed. Sorry for your loss ????????? ?